Since you were a child you have probably been told that there is nothing purer than the air that you breathe and while we at Alpine Air Products Inc. wish that this was true, the fact of the matter is that for many homeowners this simply isn’t the case. However, help is at hand to ensure that your air is as pure as possible. 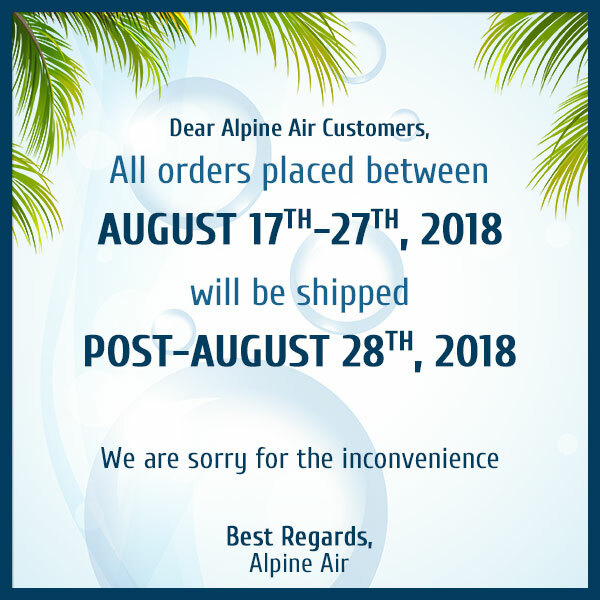 At Alpine Air Products Inc our state-of-the-art products combine the most cutting-edge air purification techniques that use two different types of ionization along with activated oxygen to purify indoor air. This process is very similar to how nature naturally cleanses air on the outside. So, if you want the air in your home or business premises purified in a natural way, then you need to call us today. We take what we do very seriously and will stop at nothing in the pursuit of excellence for your property’s air purification needs. Alpine Air Products Inc. is passionate about doing things the right way, which is why we will never seek to cut corners or take any shortcuts when it comes to providing superior service for our residential and commercial clients. Not only are we concerned with making sure that the air in our clients’ homes and businesses is as pure as possible, we are also dedicated to making sure that this process is done the right way—the natural way! Perhaps the biggest reason why homeowners and businesses need an air purifier is because you can drastically improve the air quality in your home and business right away. In doing so, you can also drastically improve your health and that of your family. The problem that many homeowners face is that they only associate air pollution with outside air. The reality of the situation is that indoor air is as equally susceptible to pollution as outdoor air and that is where our air purifiers come in. Everything You Wanted to Know About Negative Ions but Were too Afraid to Ask! What most people don’t know is that, in almost all indoor environments, many harmful particles and contaminates can circulate inside your home. This happens when cold air enters your home or business and circulates through your living area repeatedly. The reason for this is that because most underperforming cold air filters fail to block these contaminants from re-entering the indoor environment. The ineffective nature of these types of filters can pose serious problems for homeowners and office managers as they allow contaminants to flow right through them and back into your living quarters or working space. Thankfully for you, we are very different in this respect and all our air purifiers are designed to keep the bad stuff out and only let the purest air in. If you want a superior air purifying system, then you need to call Alpine Air Products Inc today. You won’t be disappointed!